Sports caps and novelty hats. 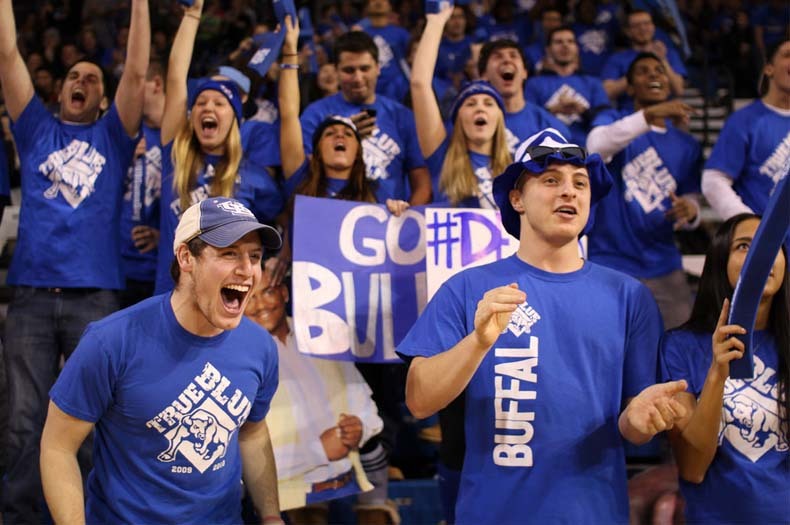 Often you’ll see people wearing different sports merchandise to show their support and fan loyalty for their favorite teams – things like jackets, sweatshirts, hats or jerseys. My wife bought me a hat to wear in the cold weather that’s designed almost exactly like a Seattle Seahawks helmet (unfortunately, these are no longer available), complete with the chin guard face mask. It’s all made out of fleece so it keeps me warm when I have to go out and shovel the snow. I also have a pair of gloves with the Seattle Seahawks logo on them too. Family room or den accents.Really avid sports fanatics might even have a den or “man cave” devoted to their particular teams. They may have painted their rooms in their favorite team colors or simply added room accents like different sports memorabilia to show their support. My stepson has a couple of Flyers jerseys and mock trophies and hockey sticks set around in his “man hole,” as his wife calls it. I picked up a Seattle Seahawks football jersey to hang up in our den when they won their division playoffs. We also have a couple of throw pillows and fleece blankets on the sofa and chairs in both Seahawks and Philadelphia Eagles designs. Mobile support.One of the more common ways for people to let the public know who their favorite sports teams are is to put decals, bumper stickers or magnets on their vehicles. Outdoor flags.Some sports fans put flags outside of their houses with the team’s logo on it. I’ve even seen some people have little flags on the antennas of their cars. With all these different ways to show who your favorite sports teams are, sometimes it’s hard to find just the right gift for these people! Give them a set of mason jar glasses, a lighted mason jar or a lighted wine bottle, customized in their favorite team colors and logos. If the person you’re looking to buy a gift for is a wine lover, a lighted wine bottle is perfect, or a set of mason jar wine glasses. If they happen to be a beer drinker, the mason jar wine glasses are still a great idea, or a customized lighted mason jar. A gift like this is probably something they don’t have already, and something that nobody else would think to give them either. 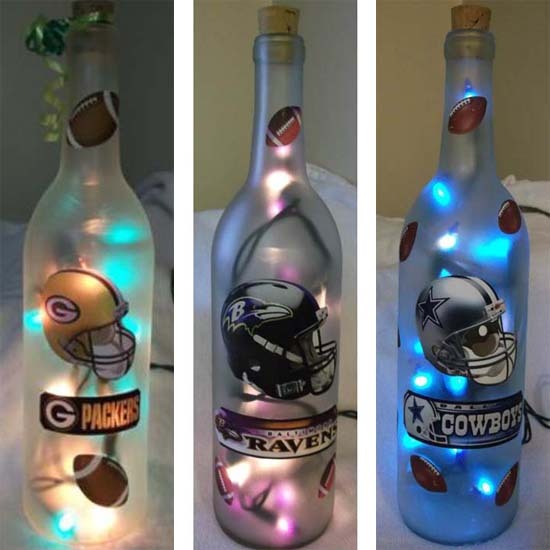 These lighted bottles and jars are a perfect addition to their sports collectibles and make a great conversation piece too!